We all know the famous Pitbull dogs which can range from the American Pit Bull Terrier to the Staffordshire bull terrier or Chamucos Mexicano, all dogs are procreated from the same origin, a bloodline called Pitbull. We will explain what the character of this breed is like, the Pitbull dogs’ temperament of those who talk so much lately accusing them of being aggressive and even calling them murderers. While it is true that Pitbull dogs have a slightly stronger temperament than other dog breeds, it is also true that the character is acquired largely in accordance with the education and socialization that the dog receives from its owner. 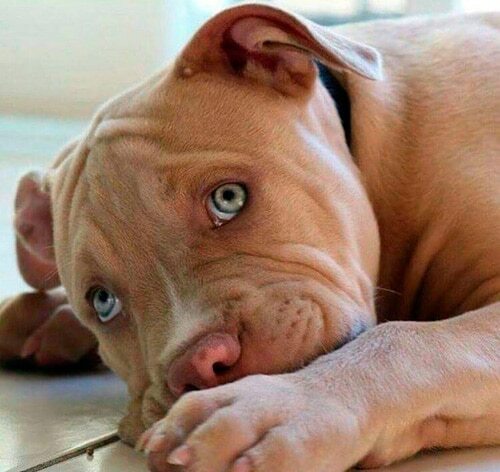 That is to say, we can not say in any case that the Pitbulls are aggressive, since all dogs can be aggressive if they do not receive an adequate education. From the smallest of the Poodles to the biggest of the Great Danes, a badly educated dog can be a great danger. Clarified the part in which we must understand that it is the owner who largely defines the temperament of his dog, let’s see some of the most notorious qualities of Pitbull dogs. 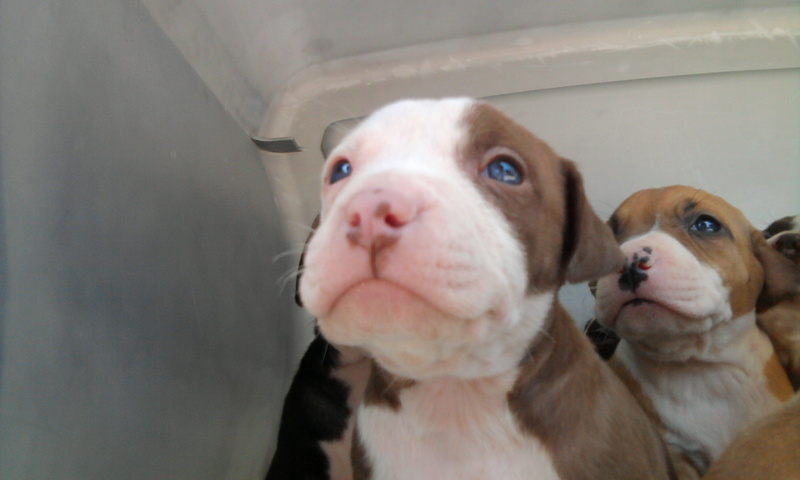 Unlike the vast majority of dog breeds, Pitbulls are like little fighters since they are born. Being puppies they play to fight among themselves, without obviously hurting each other, to measure their strength. It is a primary instinct very characteristic of the Pitbull breed, which has been selecting for many generations the best specimens when its function was that of prey or guard dogs. This statement is totally true despite the fact that many of us do not like it. Pitbulls are dogs that have a strong character so their education is paramount. Try to take the place of leader of the pack on multiple occasions and therefore we must be consistent and firm. Pitbulls are not dogs for people without experience in the world of dog education or for people with a weak personality. We must make clear from puppy to our Pitbull what is his position, without letting him pass or one. 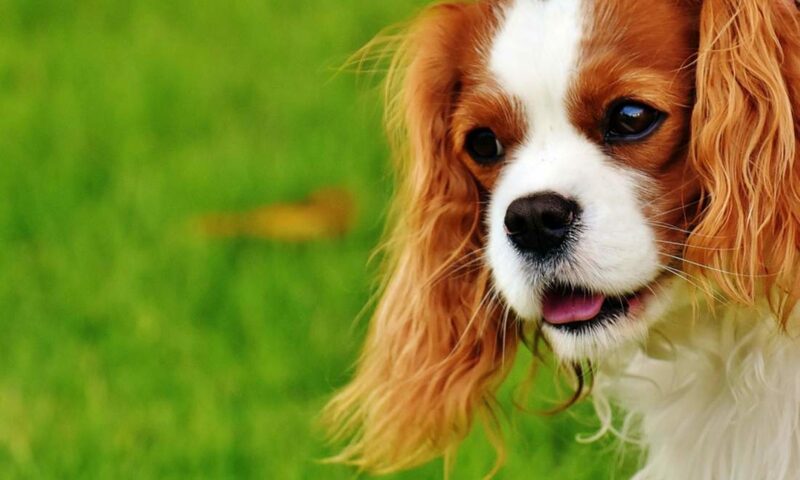 That they have a dominant character does not mean that they are dominant dogs, with an adequate socialization and a good education; they will be as good dogs as those of any other race. Despite their strong and fierce appearance at times, those of us who have had the luck of having a Pitbull know the enormous heart they have, the great capacity to love that they possess in an innate way. 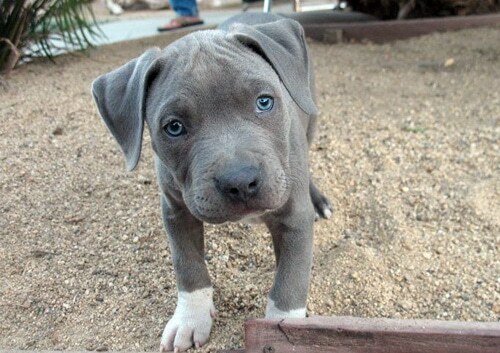 A Pitbull is not a bad dog, nor a killer dog, it is simply a dog. The Pitbull needs as much affection and pampering as any other dog and he will give us as much love as he receives multiplied by ten. They are also excellent caretakers of the herd, great protectors of their offspring and even our children, provided they are well educated (like any race). It is not the first time that they refer to the Pitbull breed as “nanny dogs”, due to the love and protection they provide. The Pitbull is a very intelligent and affectionate dog, with a lot of attachment to its owner. The Pitbull is a very obedient and hardworking dog, he loves to learn constantly. The Pitbull is a brave and loyal dog, he does not fear anything. The Pitbull is a very sociable dog, friendly and even something clownish, who loves to play. 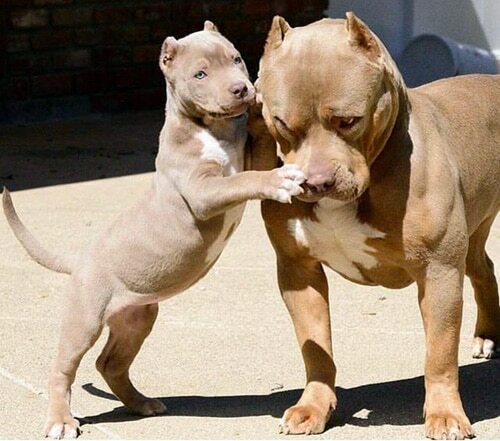 The Pitbull is a bit stubborn at times, dominant if not well educated. 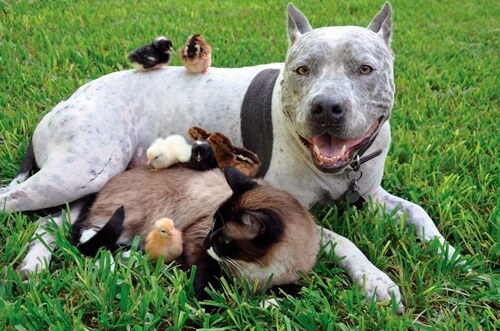 As you can see, the Pitbull dog stands out for many good things, although every time it comes out in the media it is because it has attacked or bitten someone. Something that used to happen with the Doberman and before even with the German Shepherd … are the fashions of seeing who is the most bad dog, although that does not mean that the race determines its danger.